Minimum of three years of formal post-graduate/ post-registration clinical training. Previous cruise ship experience preferred. 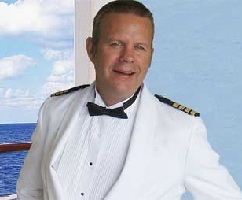 $8,000 - 12,000 U.S. per month, depending on the cruise line and accumulated experience with the company. The Chief Doctor is the highest ranking Medical Officer and a head of the Medical Department aboard the ship. He/ she oversees and supervises the work activities of the subordinate positions within the cruise ship Medical Department: Physician, Lead Nurse, Nurse Practitioner and Registered Nurses (there are up to six registered nurses or nurse practitioners on a large cruise ship). He/ she reports to the Captain of the ship as well as to the Fleet Medical Director at the head office of the cruise line. The ship's Chief Doctor is responsible for the basic and emergency medical treatment of the passengers and in some cases of the crew members (when required). He/ she deals with wide range of medical conditions - evaluation and treatment of medical, surgical, gynaecological and paediatric problems; suturing of wounds; incision and drainage of abscesses; evaluation of ophthalmologic emergencies; reduction of simple dislocations, splinting and immobilization procedures; Advanced Cardiac Life Support procedures and treatments (ACLS) including emergency airway management; administration of thrombolytic agents.